Good Morning................... It is a very chilly one here in Brighton this morning. 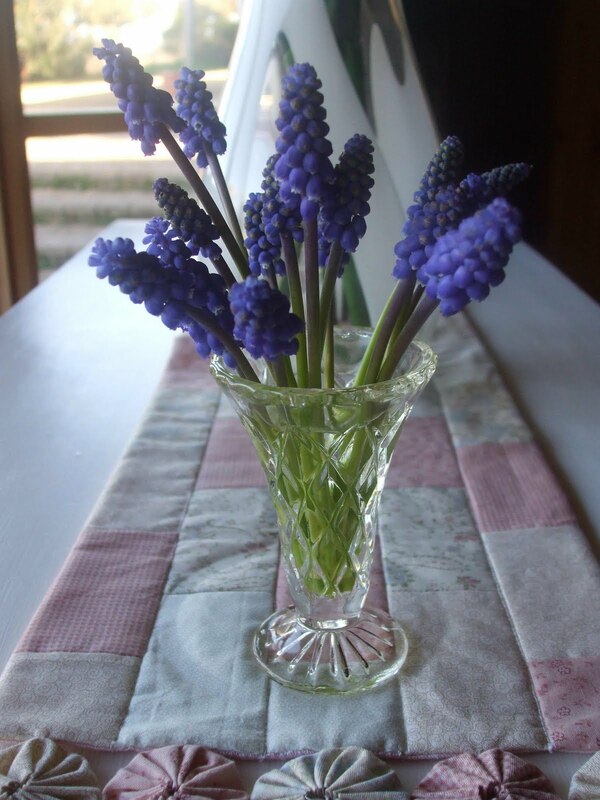 I took an early walk around the garden and picked these lovely little grape hyacinth's. They look lovely in the little vase that I found treasure hunting last week. Lots of my bulbs are bursting with buds so we will have some lovely cut flowers in the house for the next few weeks. 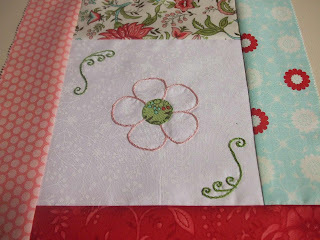 As promised here is a picture of the project that I have been working on using those Bloom fabrics. 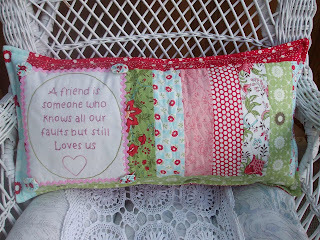 I just love the sentiment on my "Friendship Cushion". 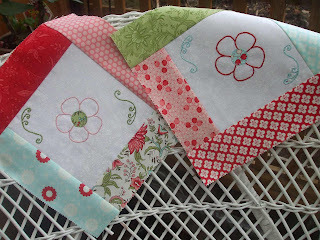 And here is the second project that I have been working on using the same fabrics. It is a quilt called "Flowers In Bloom". These are the first 2 blocks. The rest are all cut out and ready to stitch. How are you coming along with your first block in my Flowers of Love BOM? I would love to see your finished block. Please e-mail me some pics - goldwen at bigpond dot com. It is my day off today so I will flit around with the vaccum cleaner and then settle down in front of the fire for an afternoon of stitching. Lovely cushion and a beautiful sentiment! Enjoy your day off! That fabric really is beautiful! Your cushion is beautiful ... look forward to seeing more of the quilt. 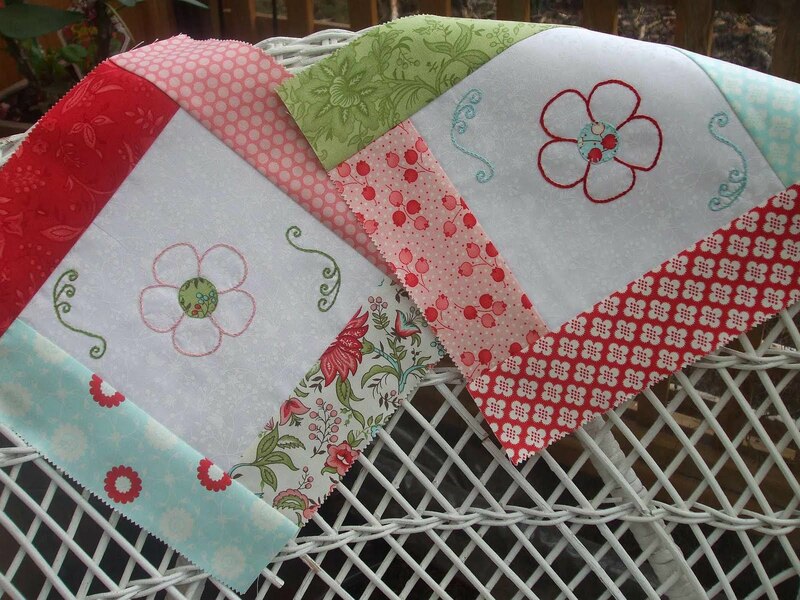 A cute cushion and the fabrics are perfect for it. You are so clever. Your cushion looks great Fee, really really sweet. 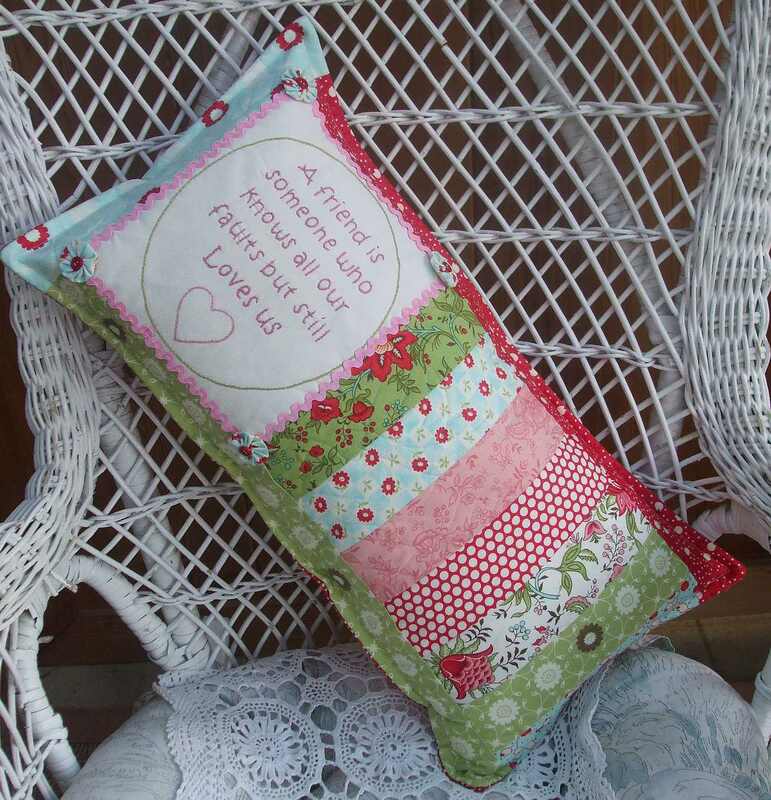 The cushion is gorgeous and would make a beautiful gift. Oh I love your cushion! And your darling blocks. Love the little swirly in the corners. I haven't started your bom yet, all my sit-down time is consumed with hand-quilting my Sis Boom quilt - will I ever get it done? 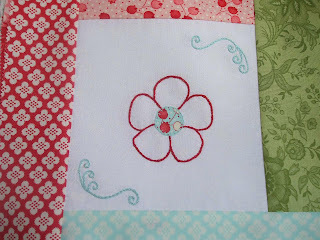 I miss stitching with floss! 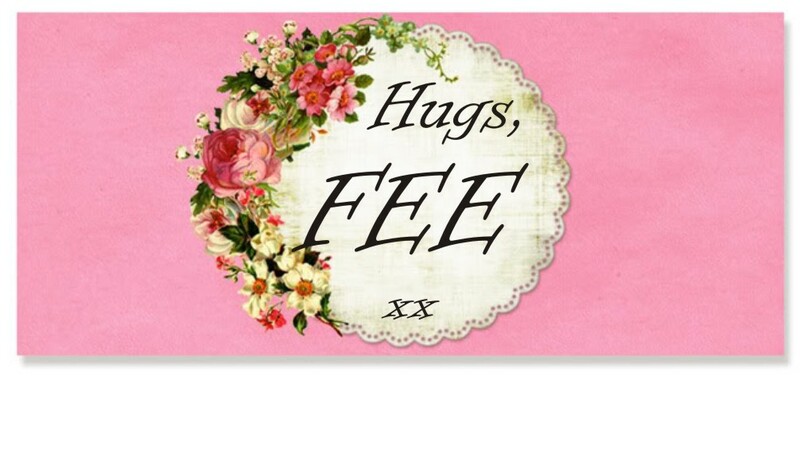 That really is a lovely sentiment Fee ... and I just love the fabrics too ..... such a lovely cushion, wouldn't it make a nice gift!!! Pretty blocks too ... boy you've been busy!! I love all your new designs, Fee! You have certainly made them even more spesh using Bliss...it's true to its name! Such a lovely cushion Fiona ! You have such a lovely site and I enjoy seeing what you have to say each day. Aren't the grape hycinths (sp) beautiful. I just love those little balls of spring and early summer. Have a great day and a brighter tomorrow. All the best.